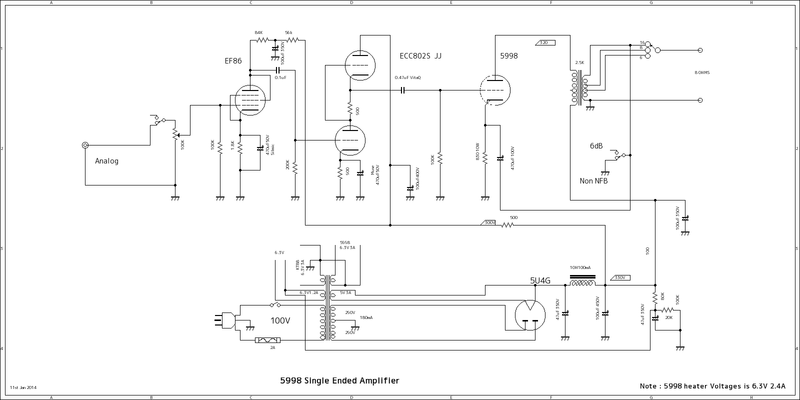 schematic is indicated above.sound is good like 2A3 but more powerful. 3.5W rms. so depende on you.one thing does not need ham balancer. 5998A is different rate. 5998 is 250V and 13W and 5998A is 270V and 15W. 5998 family has 2 type of construction ,ST and GT. 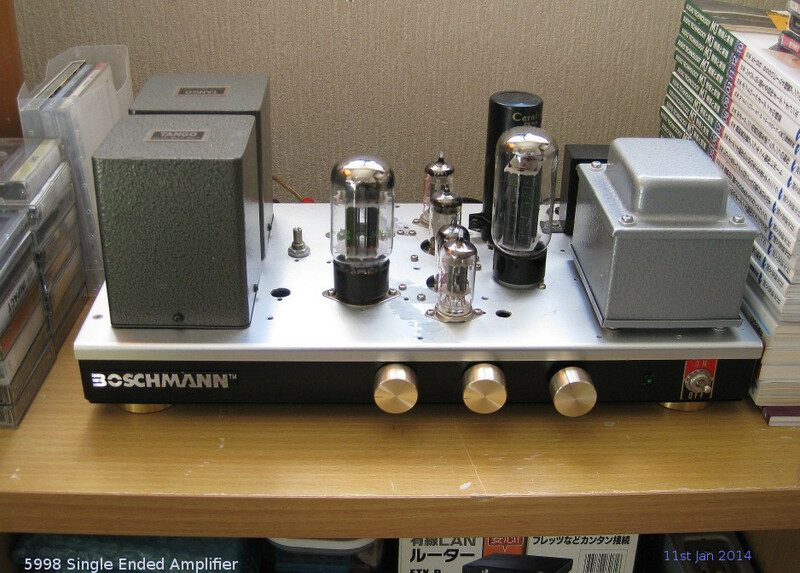 both , parallel mode made up almost 8-9 W rms as Single Ended Amplifier.one tube has 2 indirect heating triode. each one made up around 4 W rms. 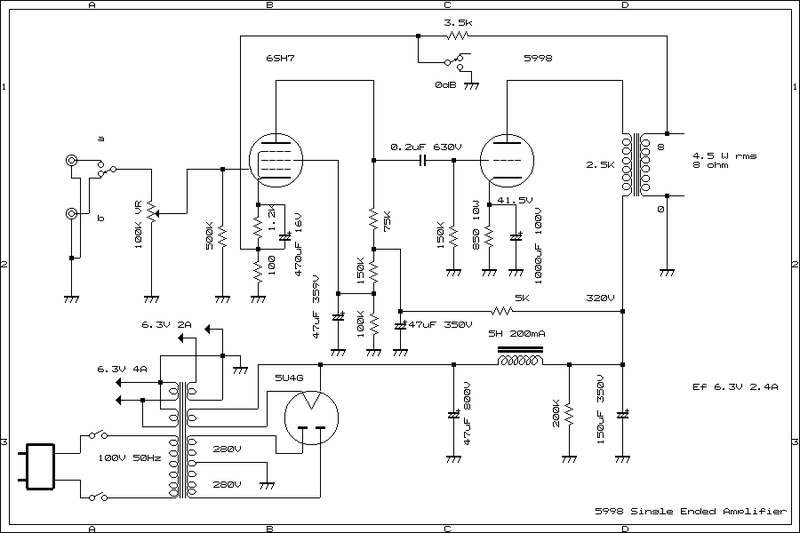 Above 2 movie are same circuit using. just only valve is different. 5998A and KT88 single ended.same music same circuit.. Triode indirect heater and indirect heater but Tetrode . KT88 is just like 2A3 sound stage getting . very clear and good bass.almost indirect triode tubes sound is just like these kind of sound when choose to use single ended amplifier mode. I think therefore many people with or not of being preferred the sound of the 2A3, 45 trends and the sound of KT88. 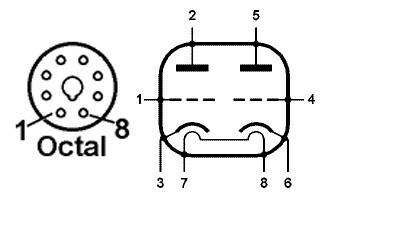 You must use the output transformer good characteristics to get a good sound. Which an Amplifier is worth ? 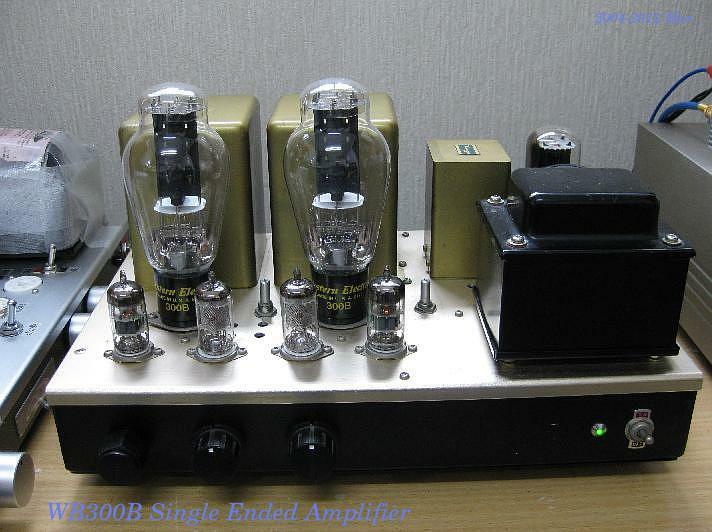 I like sound charactor of 2A3 and 45 single ended amplifier.even 300B single ended amplifier is much better for me.